During the first Synod on the Family, Cardinal Napier came to the attention of many for his defence of the family and European, particularly German, arrogance towards Africa. Since then, Napier has been a disappointment, or perhaps we simply knew little about this man and he was, all along, just a bucket carrier for the Bergoglian mafia. Last week, Rick Stika called it "fake news. 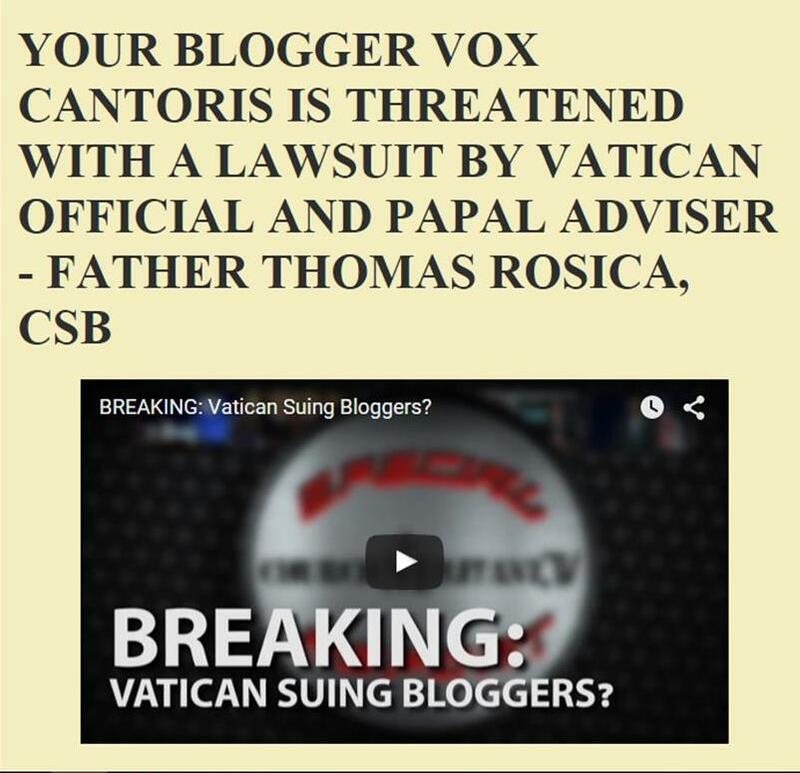 Rick Stika blocked @VoxCantoris on Twitter. I am back on Twitter under a different handle, he has blocked me again. Napier long ago blocked Vox on Twitter. A disgrace to the Church. How dare they slander laymen who stand up for the Faith. What enemies of Christ these men are. "What enemies of Christ these men are." Question: Why are these ... bozos ... on Twitter? Poor excuses for priests, I might add. What can be said when the average Holy Mass attending Catholic would sooner trust Raymond Arroyo or a Pope Michael than any of the cowards holding on to the pope's skirts today. I am not kidding, I would positively prefer to go to either one of those gentleman for spiritual advice than I would the pope or the Cardinals and Bishops. Sad, that's what it is, sad. When a man like Cdl. Napier attacks an obviously faithful member of the laity, someone who has spent years of his career in faithful service to, first, Mother Angelica, and the church and faith as well, really, it is a shameful day. These men pit themselves against US when they do this. They reveal which side of the fence they are on and, it's not with us. They increase the distance between the Holy See and the common man and woman by these types of venomous words. What manner of Cardinal or bishop or pope uses such language against a member of the laity? What kind of pope calls the faithful names and insults them, what kind of pope has ever done this! And here we see his minions doing what they see their master does, reducing the office to one of political pettiness and scapegoating. Cowards! Sycophants. These men are not men of God. They are hirelings, bad shepherds, not to be listened to or trusted! We do not know their voice! We do not recognize them! Perhaps Napier is padding his profile with next conclave in mind. I knew Napier was a wolf when he was grousing for billions for South Africa from the global warming scam. Imagine what South Africa racist commie politicians would do with the money. And don't think Napier wouldn't get his share. I like a quote I saw on Fr. Z's site: "We know who you are, and we know that you know that we know who you are." Oh and I just LOVE Mother! 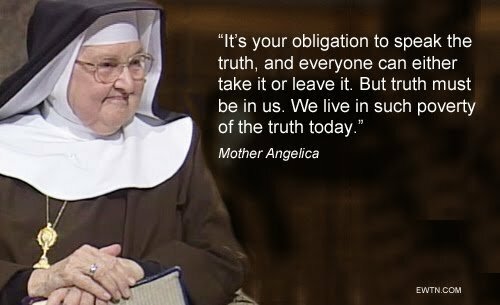 I know she is interceding with all of her might up there not only for Raymond but for all of us and for the cleansing of the Church as well! She has to be doing us more good now than when she walked the earth!....no doubt about it!